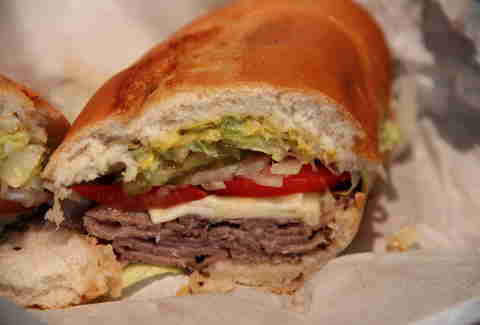 If there’s one thing SF is known for, it’s definitely not the submarine sandwich. But that doesn't mean we're gonna turn down a sandwich with the perfect balance of flavors, texture, and bread-to-filling ratio, made by the person who owns the shop, eaten at a table that has little-to-no ambiance, and not pay for it with cold, hard cash. 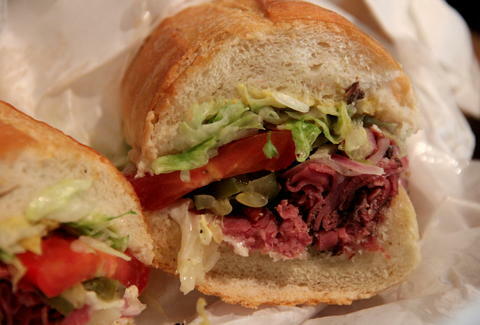 Especially if it's from one of these: the best traditional sub shops in SF. 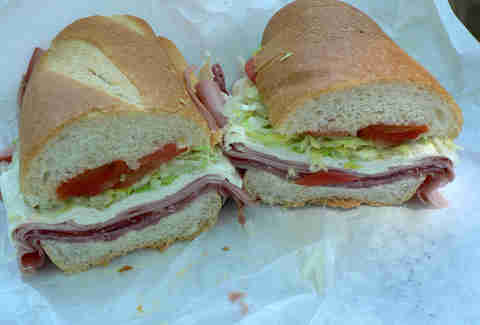 Q is the owner and is the only person who makes the sandwiches. It has been that way since the early '80s, and no one wants to think about what'll happen when someone else has to start making the sandwiches. The bread is always perfectly toasted, the avocado expertly sliced, and don’t even think about foregoing the “secret sauce”. Yes, you have to go to Cow Hollow, and yes, the line might be long, but no, you’re not going to complain about it, because this is the sandwich dreams are made of. Cash only. Don’t complain about that either. It will take you forever to find parking. Then you’ll wait in a long line. 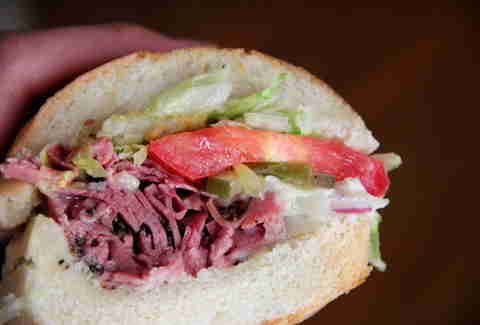 But once you bite into your perfectly proportioned hot pastrami sandwich (again, the “secret sauce” is a must), all of that will be promptly forgotten. Oh, and if you’re trying to avoid the line, the only way to do it is to get there early. Your late lunch will be foiled by throngs of hormonal, starving teenagers who know what’s up. This Sunset staple run by Boston natives (don’t hold it against them) has been around for more than 30 years. 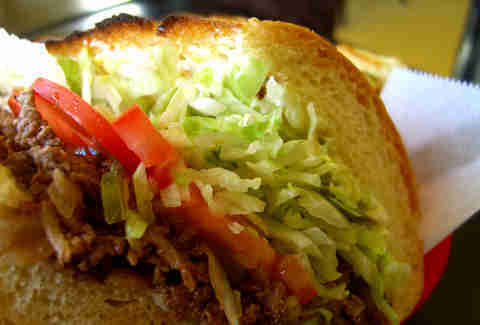 Get "The Works": pickles, tomatoes, lettuce, onions, oil, vinegar, mayonnaise, hot sauce, and mustard. Oh, you don’t like hot sauce on your sandwiches? Too bad. 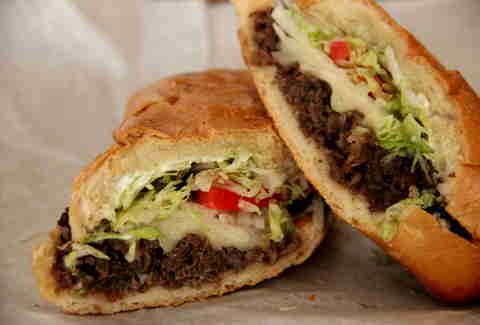 It’s house-made and delicious, so just accept that they know best. Also, you’re going to be so full that you can’t finish your sandwich, but that shouldn't stop you from ordering the fries, since they taste like the delicious offspring of a French fry and a potato chip. Cash only, and there’s no bathroom. Obviously. This Korean-owned-and-run sub shop has been around since 1975, so clearly they’re doing something right. Old-school locals rave about the beef teriyaki sub, while, ahem, newer additions to the city get excited for the Kalbi and kimchi sandwich. 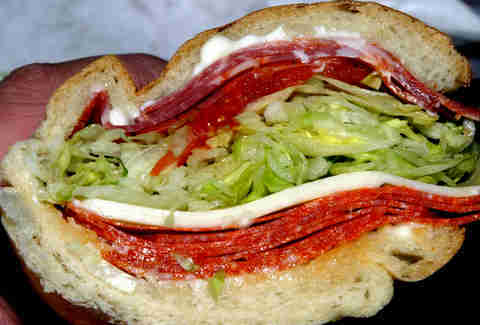 You can also get a “traditional” sub here, and the meatball is definitely worth a try. The “hole in a wall” vibe is complemented with slow service and a cash-only policy. As it should be. If the cheese shop at Irving Subs was too bougey for you, the fact that Roxie’s is basically a liquor store in Mission Terrace should make you feel right at home. All of the meat and fixings are hidden from view, so you can’t see what’s happening while it’s being made. But have a little faith: you’ll get what you ordered, and it will be delicious. Especially if you get it on a Dutch crunch roll. Bonus: you can grab the latest issue of Hustler to enjoy while you eat. Which you’ll be doing elsewhere, since it’s a tiny space with no tables. Viking’s looks exactly like it did when it opened 30 years ago, only a little -- how do we say it -- oh right: dirtier. But who cares? The sandwiches are good, they have giant bottles of malt liquor, and the long lines tell you everything else you need to know. That’s right: if you haven’t figured it out by now, you’re going to wait a few minutes for any sub sandwich in SF worth eating, Viking’s included. It’s also cash-only. And closed on Sundays. You’re shocked. Yes, the whole cheese shop aspect makes them a little swankier than traditional sub shops, but this newcomer makes the list because, fancy cheese or no fancy cheese, Irving Subs makes a damn good sandwich. 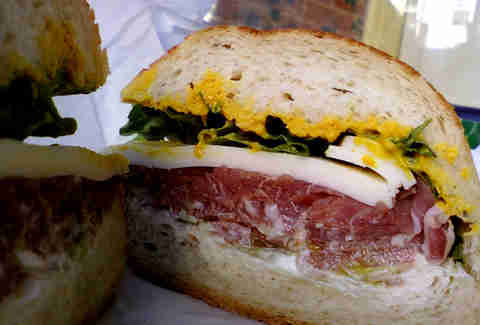 Good bread, quality meat, all perfectly dressed (the house-made vinaigrette and garlicky mayo are both a must). And FINE: the cheese is really good, too. They’re not open on Sunday, but they claim that’s in the works. Daisy Barringer is a freelance contributor to Thrillist, and on Sunday, was so hungry for a sub. Follow her @daisy.